Ellie is an award winning photographer and recent graduate of Falmouth University where she achieved a First Class B.A. 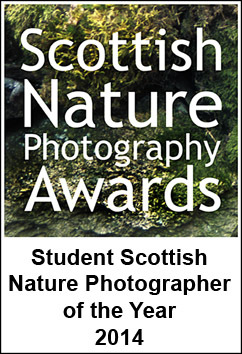 Honours in Marine and Natural History Photography. Growing up in close proximity to the North Wales mountains and Shropshire hills, Ellie has always been immersed in the countryside and local landscapes, and over the past three years she has combined her passions of photography, conservation and diving to explore the natural world. Her inspiration comes from nature, from being in wild places and observing the impact of weather and light on the landscape. Her commitment to these wild places is immense as their beauty and structure never fail to enthral this respect, Ellie thrives to capture the essence of that fleeting moment when the dynamic of a landscape is transformed by light or thrown in to shadow my gathering clouds.